The discussion entitled "What should we await from the exchange rate?" will be held on 3 February. 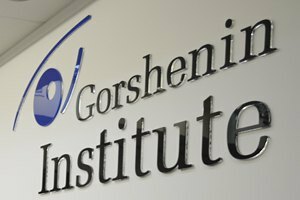 Gorshenin Institute will organize and host the roundtable entitled "What should we await from the exchange rate? ", starting at 1100 on 3 February. 1. Today’s exchange rates: how relevant are they in the actual financial and economic situation in Ukraine? Who should be blamed for the hryvnia exchange rate drop? 2. What are the trends of the foreign exchange market? What should Ukrainians expect in the new year? 3. Shall international players help us? Why is not the IMF loan programme carried out? What should one expect from cooperation with international financial institutions? 4. National Bank policy: is there any? What is it focused on? How does it affect the hryvnia exchange rate and the economic situation in the country? Please mind that the discussion is helf in Ukrainian and Russian only, and no translation is provided by the Gorshenin Institute. However, you are welcomed to be accompanied in case you need help of your interpreter.